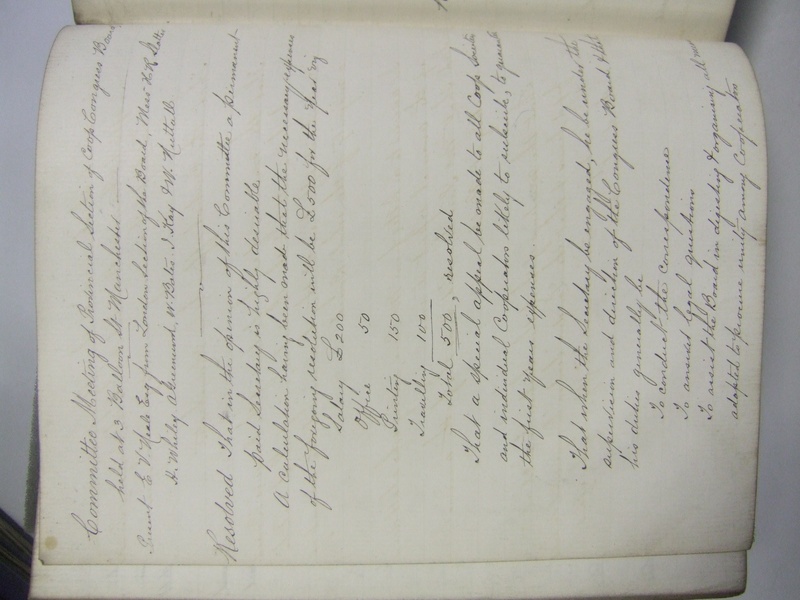 Gillian, who handles the archives for the Co-operative College has shared with me a handwritten minute, dating back to 1872, when my post was first created. What a role they created… and, 140 years on, a good job, certainly for me, that they did. I have just been to a remarkable talk in Slaithwaite, hosted by the local Transition Town, by Nicole Foss from Ontario, who runs a blog called the Automatic Earth. Nicole Foss looked at the constraints we face in terms of energy and in terms of finance, and how two crashes, of production and of economic demand, may now accelerate and interact. I have rarely heard a bleaker outlook, but she took us through with charm and insight into imagining how one could act ‘after the crash’, in Guy Dauncey’s phrase. Get into community, build practical skills, avoid debt is what I took away. And a desire to come back soon. There has been an excellent to and fro on the August riots among the academic sociology community. This piece by Abby Day is short and sweet – it is not that young people can’t respect authority nowadays, it is just that they respect authority that deserves their respect. The Star Inn, one of the pioneering co-operative pubs that we have supported, is holding a Beer Festival this afternoon – one sign of the progress they have made. The pub stocks local ale and will host eleven guest ales. Over a year on from being threatened with closure, as the local paper reports, the community seems in fine fettle. The BBC programme Village SOS is turning these kind of inspiring stories into documentaries – and there is help on offer through the Lottery for others who want to follow suit. The Lincolnshire Co-operative Society is 150 today. Happy Birthday! If I take a Lincoln metaphor, having gone up the hill on my last visit, I think in some ways our involvement in the co-operative movement is like building a cathedral. We do what we can, with practical craft and care. And we believe that we are, in the words of the United Nations next year, building a better world. It takes time and what we are doing is both daily co-operation and something that is the span of more than any one of our lives. And if so, it is important to celebrate along the way. Please wish all involved the best of celebrations for the best of causes. Mike Riddell is one of those precious people who can turn words and ideas into action. For years, people have talked about the decline of the high street, dabbled with ‘buy local’ and ‘loyalty’ schemes and scrabbled around with possible local currencies. I have to confess to a butterfly involvement with each of these. Mike is working to turn these into reality, by creating a technology platform for sharing across local shops and local citizens – nothing too new in terms of technology, but stuff that is usually kept within a single company and the relationship it has with its customers. The initiative is developing in Wigan – recently characterised by CACI as one of the most vulnerable towns to retail loss / what we used to call ghost town status. What is up and running so far is called Hometown Plus – and the idea, in partnership with a farsighted local authority, is now looking at further models of smart living … Wigan_plus_document1 … and smart sharing. I was able a few weeks back to introduce Mike to Mary Portas in Birmingham, at our inspiring Co-operative Congress. Mary is leading a review for government on the future of the high street. Here is a wonderful creative initiative under development, for a worker co-operative version of the ultimate winner-takes-all board game, Monopoly.